I am always interested in recruiting new people to my research group. The important issue, for me and for prospective students, is "fit". How well do our interests complement each other? What are your educational background and research interests, and will they help you integrate into and contribute to the group? Will the programs offered at University of Chicago help you meet your academic goals? I am a behavioral ecologist, interested in the evolution of social behaviors and the development of adaptations. My work is at the interface of mechanisms and evolution, trying to understand how natural selection has shaped the developmental processes that result in functional adult behaviors. I use both theoretical and empirical approaches to my research. I have studied a variety of rodents, focusing in particular on free-living and captive ground squirrels. My research program will be expanding to include humans, and I am especially interested in prospective students who want to study human behavioral ecology. 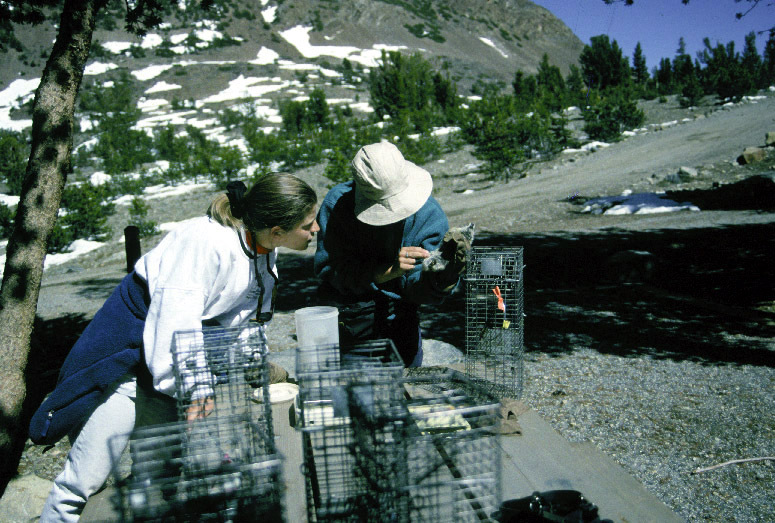 Much of my research is conducted at my long-term field site in the eastern Sierra of California. There I also have a small laboratory and several outdoor enclosures for observing temporarily captive ground squirrels. 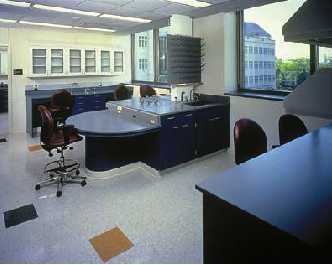 On campus at the University of Chicago, my lab is in the Institute for Mind and Biology. There I have facilities for hormonal assays, genetic analyses, and video and acoustic analyses of behaviors. If you are interested in joining my group, I suggest you peruse my website and read some of my articles. Do you have to know what you want to study? No. In fact, most students explore their options and preferences during their first year or two in graduate school. With more and more experience, both in class and the lab or field, students' interests will become clearer which will allow them to pick a dissertation project that truly motivates and excites them. Do you have to study what I study? Absolutely not. I accept students based on their interests and background, and whether I can contribute to their graduate research. That means I am willing supervise almost any project in animal behavior, social development, communication, animal cognition or human ecology. Students can, of course, work with me on my current projects, but their own research must be independent. Thus my students can conduct their research on campus, at my field site in the eastern Sierra, on birds in Costa Rica, or on humans in Australia. Do you have to study the species I study? Again, absolutely not. My lab is theoretically based, which means we identify interesting questions and chose appropriate models with which to ask them. For some, that may mean one would study birds, or insects, or indigenous human populations, or even computer models. 1) The Committee on Evolutionary Biology (CEB) is an interdisciplinary graduate program with 65 faculty from over 20 departments, including Ecology and Evolution, Anatomy and Organismal Biology, Neuroscience and Human Development. Researchers at the Field Museum, Brookfield Zoo and Lincoln Park Zoo are also members of CEB. Students admitted to the program receive their financial support through CEB (part of the Biological Sciences Division) and must fulfill the Committee's requirement for a Ph.D. For more information about the program and application procedures, see their website at http://pondside.uchicago.edu/ceb. For a listing of CEB faculty broadly interested in behavior, see http://mateolab.uchicago.edu/ceb.html. 2) The Department of Comparative Human Development is an interdisciplinary department, with faculty trained in anthropology, sociology, linguistics, biology and psychology, among others. Students admitted through the department's graduate program receive their support through the department and must fulfill the department's requirements for completion of a Ph.D. For additional information about Human Development, see their website at http://humdev.uchicago.edu. The two graduate programs vary slightly in their requirements, funding opportunities, participating faculty and general theoretical backgrounds, so prospective students should carefully review the two programs before applying. That said, students working with me will receive the same support and attention from me and those in my lab, regardless of their particular graduate program. Both programs attract many highly qualified applications, and competition for admission is high. Prospective students should contact me well in advance of applying. Many incoming students receive fellowships or teaching assistantships for the first years' of support. However, I encourage all to apply for extramural pre-doctoral fellowships, such from the National Science Foundation or National Institutes of Health. Before applying to one of the programs, prospective students should contact me, well in advance of deadlines, so we can discuss your fit. If you send me information about yourself, please include it in the body of an email message. Do not send an attachment. You'd be surprised how many "resume.doc" files I have received!